There is a tragic lack of understanding regarding narcissistic, psychopathic and sociopathic abuse in the healing professions. Well-meaning but uninformed therapists and counselors can do a lot of damage to victims of narcissistic abuse because they do not understand the dynamics of these relationships and because they assume the victim is ignorant. 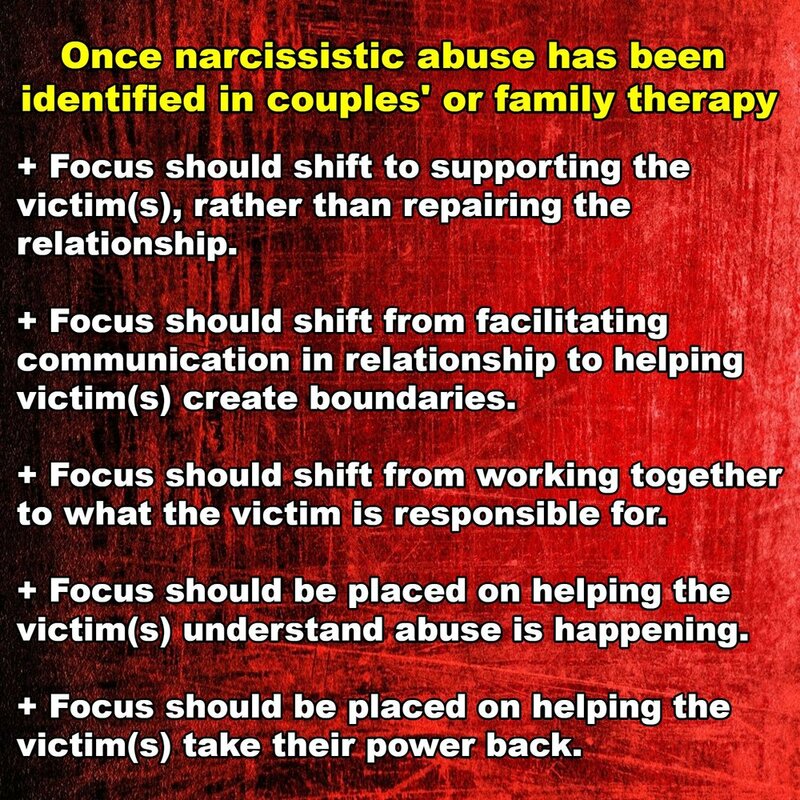 Below are some resources, including 20 red flags that the couple or family you are dealing with might have issues with narcissistic abuse. 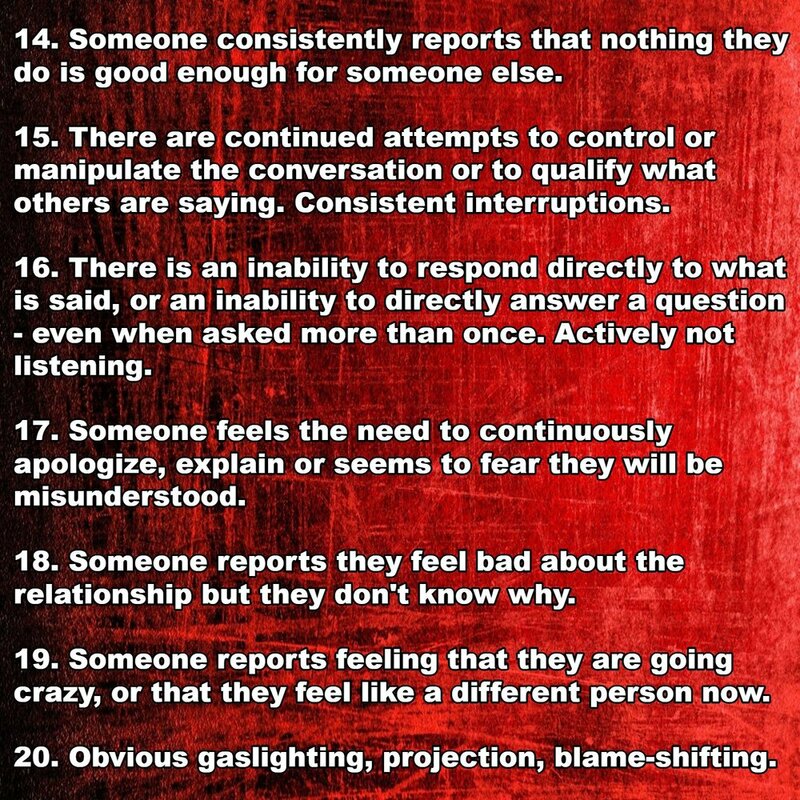 Please note that as with all red flags, the appearance of any or all of these does not guarantee the existence of pathological narcissism in the situation. Rather, they should alert the therapist to evaluate the situation for other signs of abuse. Note also that initially, it doesn't matter which person appears to be throwing the red flags. It is not uncommon for narcissistic people to engage in projection. If narcissistic abuse is indeed present in the situation, the abuser will reveal themselves eventually to the astute observer.